This approx 40 acre property is a hunters paradise! Loaded with mature whitetail deer and turkey. This property lays great to hunt with lots of shooting lanes and a power line right through it. There is a pond on property for the wildlife. 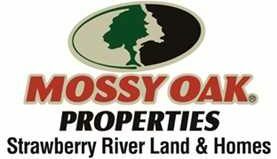 This property has many mixed use recreational, timberland use located near Floral, AR in Independence County. If your looking for hunting land then here you go. This property does have a gas well on the northwest corner of property and there are no minerals going with this property. The sellers are keeping all mineral rights. But for hunters, this is perfect! Call us today to schedule a showing. Arlon or Pamela Welch at 870-897-0700.